Carlson, Dorothy J. Age 95, Of White Bear Lake. Preceded in death by husband, Richard; siblings Anna, Louis, Catherine, Mary, Geraldine, William, Robert and Thomas. Survived by 3 children, Kent (Lois), Brad, and Deborah (Kenny); 3 grandchildren, Brian, Renata, and Zach; and 3 great-grandchildren, Keaton, Kolton, and Gus; sister-in-law Mary Pohl; many nieces, nephews and friends. Memorial Mass of Christian Burial will be held at 11:30 AM Friday, October 12, 2018 at ST. MARY OF THE LAKE CATHOLIC CHURCH, 4741 Bald Eagle Ave., WBL with a visitation one hour before Mass. Interment at St. Mary of the Lake Cemetery, WBL. In lieu of flowers, memorials preferred to the White Bear Lake Lion's Club. 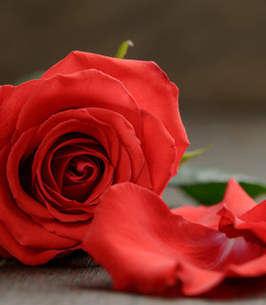 To send flowers to the family of Dorothy Jane Carlson (Pohl), please visit our Heartfelt Sympathies Store.